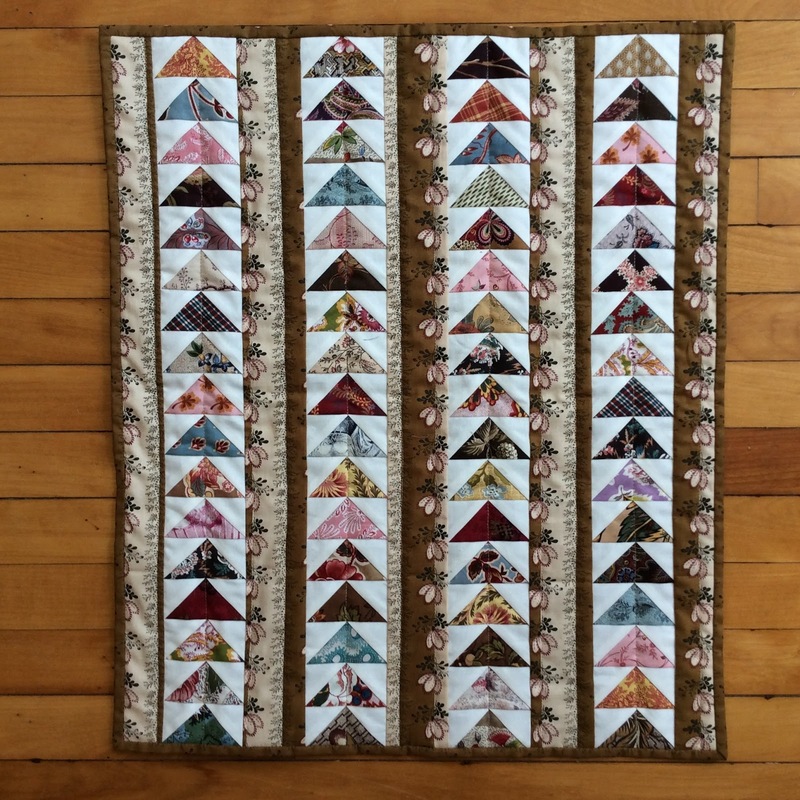 The Constant Quilter: Signs of Spring! 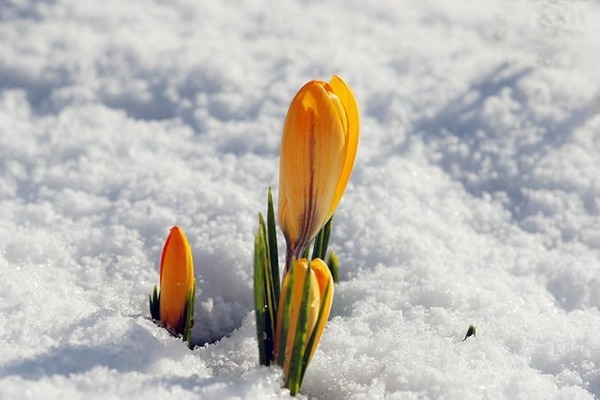 Flowers in the snow are pretty in pictures. What a great quilt! Your snippets are colorful. I look forward to seeing the quilt. Love the snowman mired in mud. 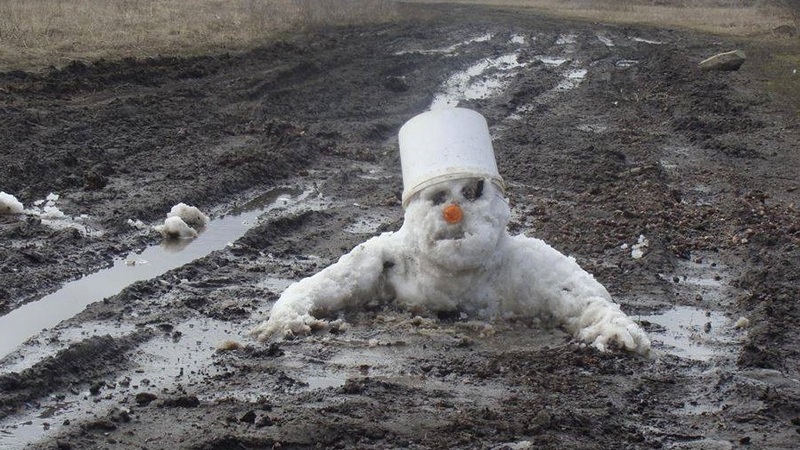 Too funny--unless you are the snowman! What a great mini. Love that piece of vintage fabric. I'll bet you put on a great show. Would have loved to be able to be there. 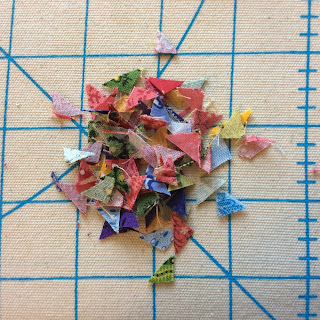 Your April mini is going to have tiny pieces! Love the flying geese quilt. Came back from VA and had to find my down jacket and wool socks. There are signs of spring but it is still cold!! Love the mud-season snowman, too cute! 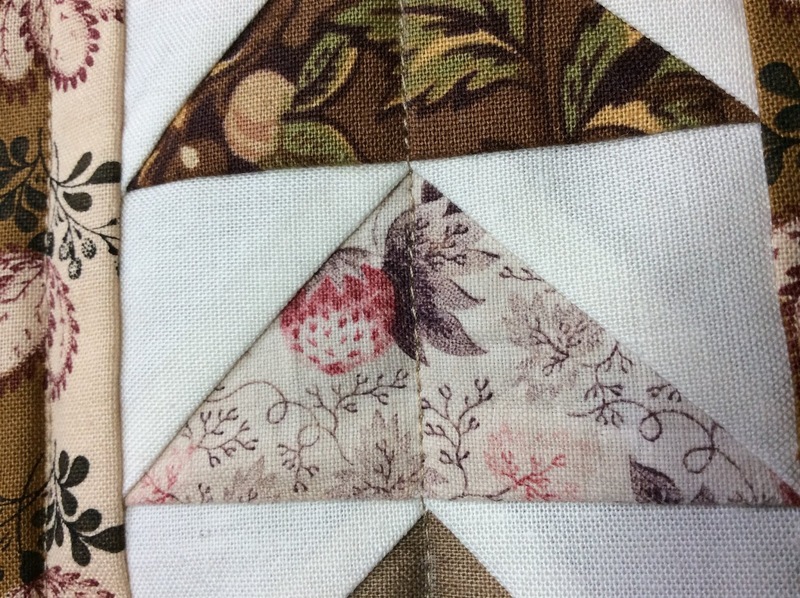 Your friend's flying geese quilt is so lovely, and the strawberry fabric is wonderful. 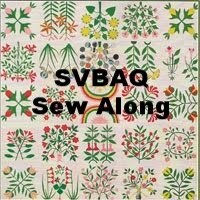 I wonder if 100 years from now quilters will marvel at some of our current fabrics. The snow is finally gone here, though we had a dusting just yesterday. 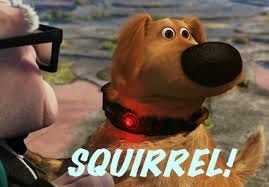 Oh I love your April mini... I know that pattern... HEEHEE. 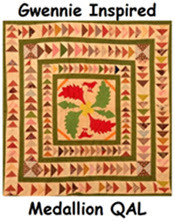 LOVE the flying geese quilt. AWESOME!! I love the antique strawberry fabric. I wish someone could reproduce it without enhancing or changing the design. 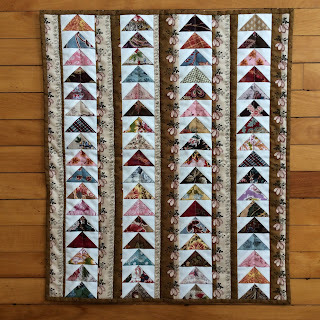 I think your April mini is a micro mini unless those pieces are scraps from trimming the blocks! Hee hee! Oh what a gorgeous present !! 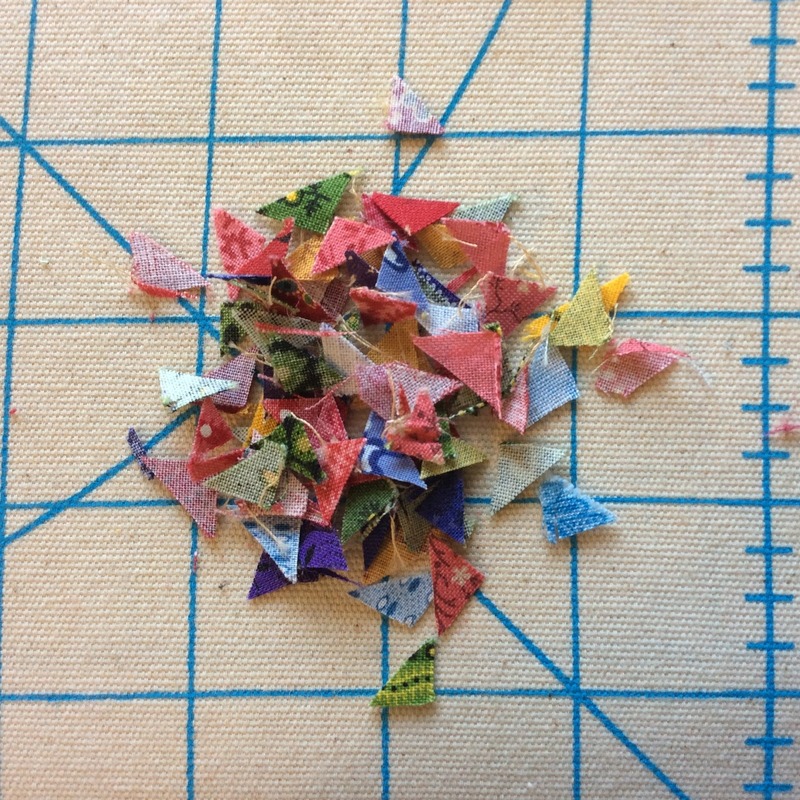 Your pieces for the april mini are.... tiny !! Ouhhh ! what a lovely gift! I have to get going on my april mini!!! Your April mini pieces are such a tease!! As for that very funny snow/mud man - he would be right at home in our driveway...And oh I do love that sweet strawberry print - wouldn’t it be nice to have that in a reproduction. Love the snowman picture. Poor guy! I love the snowman pic too! I think I found all the muddy spots in my backyard today. Love the spring colors in your clipped dig ears. I would have enjoyed hearing your mini lecture. Love that strawberry print! Great job finding it among the millions! Your snowman really made me laugh -it looks like he's skidding across the mud on his stomach!